An email just came through my inbox about a new birding app, Songbirds of North America. Now, in my experience bird apps are being released all the time, but high quality ones that really add something to the existing plethora of field guides, websites and apps already available are rare. 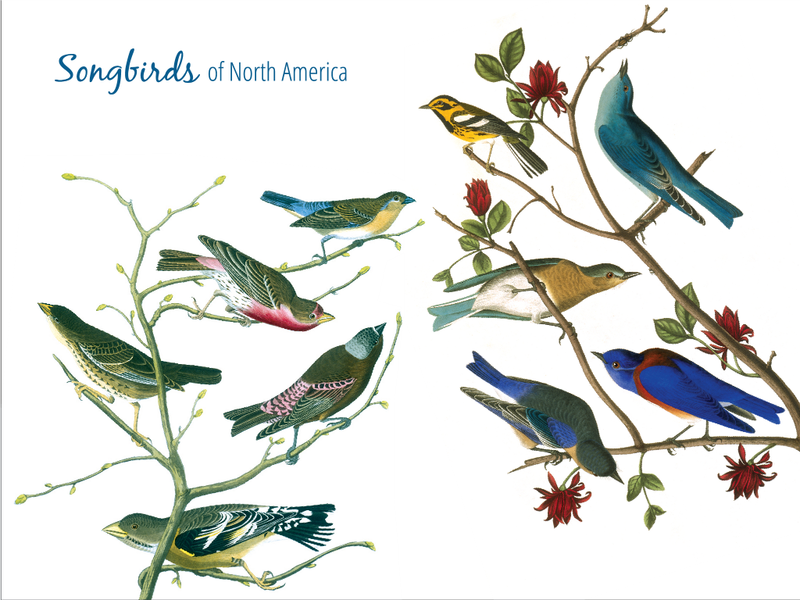 Songbirds of North America is a welcome addition to the App Store. Songbirds of North America is only available for iPad and has been really designed to take advantage of the screen size and look good. The interface is slick, with smooth animations, and good variety of sounds for each of the 220 birds included in the app. The goal of the app is to make it easy to learn some of the more common birds as well as familiarize yourself with their calls. I think that the app nails it with an immersive experience that allows easy browsing as well as bird quizzes to further test your skills. The quizzes are nice, with the option to be quizzed on images or sounds. The bird song quiz pops up four birds from the grid and plays a song and you try to pick which bird is singing. For better or worse, the app does not stick you with 4 similar sounding species each time, which should make it easier for most folks to get more right. I think this was a good approach rather than frustrating users when they can’t tell grosbeaks, tanagers and robins apart. (The app does let you pick groups of birds so you can quiz yourself on birds that are giving you problems. )The bird photo quiz works similarly, except that it pops up a bird name and you have to select which of the four photographs matches it. I think this is an excellent buy for a wide range of birders. The limited number of species and focus on passerines lends itself well to those who are just picking up the hobby. I could see this app being a huge hit at nature centers, where people could browse through the app to look for the birds they are seeing at feeders, or while walking the trails. Overall, another hit product from Green Mountain Digital who are the folks behind the Audubon apps that cover Birds, Butterflies, Insects, Trees and several others. Disclaimer: I did receive a free copy of this app, but all the opinions above are my own.